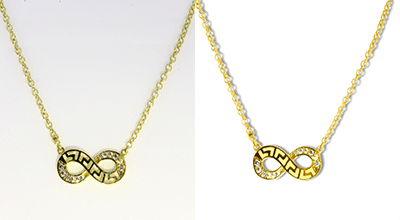 Looking for fast, reliable and low-cost jewelry photo editing service? Upload your jewelry photos instantly on our website, or contact us now and let us make your jewelry catalogs look amazing, and make visitors click on your photos and so you `ll make more business! The way of how you are presenting pieces of jewelry online or in physical catalogs can have a great impact in your business.Showing blur jewelry photos, or jewelry photos with inappropriate lighting or with any imperfection that doesn`t compliment your pieces of jewelry, then is more likely that you won`t have the success you could with your jewelry business.As pieces of jewelry are precious items, they should be presented as precious, meaning that they should be shown with the appropriate care either in photos or through physical exposure. Presenting pieces of jewelry through photos is a quiet technical matter. To have success with sales of the pieces of jewelry listed online or in magazines or catalogs, the pieces of jewelry themselves should look as closest to real. And they should be easily inspected from the potential buyer, so the lighting should be in the appropriate tone, there should be more than one photos of the same piece in different angles that showcase even the smallest detail of it and jewelry should be photo shooted from the close distance. Applying the correct lighting and shooting from the appropriate distance you can showcase your jewelry and make them stand out. Backgrounds also should be a complimentary element to each jewelry photo, or it should be absent if that would be considered the best option.For example, a white gold made jewelry wouldn`t be well complimented with a white background, so it would rather be preferred another background color or no background at all. 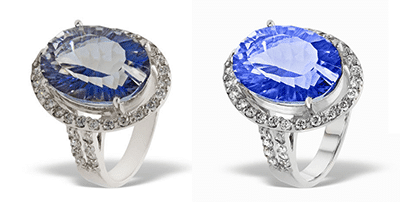 Today with the evolution of the photo editing tools and software, there are a ton of editing options that can be applied to jewelry photos to make them look shiny and glamorous. Shooting jewelry photos with the appropriate lighting and from the appropriate distance are the two most needed elements for a photo that can be later edited for even a more professional and customers luring presentation. When jewelry on a photo is well lit, and its smallest detail is clearly visible from viewers, then the first positive impression is already a fact! And this is a very important point at the business and the customer acquisition procedure. As today with the internet anyone can get his business online and show any product to the public, the importance of showing your jewelry photos in the appropriate manner can be the key to success. What I mean is that if your jewelry is professionally showcased, then they will most likely bring more people coming to your business with the intention to shop your jewelry. And is very important to the success of your business to show your products through professional photos. Because a well-crafted photo will make viewers click it and then they will come into your business mechanism to complete their purchase. Clear photos that professionally showcase your jewelry will make more viewers click on them and trigger them to make a purchase. 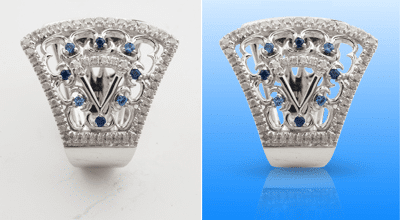 We here in BravoClipping.com, we provide professional jewelry photo editing service that will make your jewelry look glamorous, shining and real, at the lowest prices in the market! We make jewelry photos look outstanding by applying several techniques that can give all the shine and realistic look to the displayed jewelry, resulting to making more viewers clicking on the photos and coming into your websites and buy your staff. 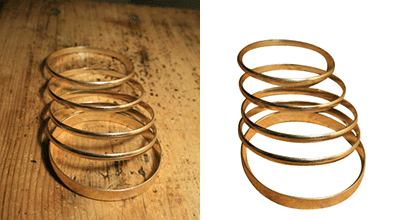 We use the most evolved photo editing tools, and so we can produce the best achievable results guaranteed. We charge the lowest prices in the market, starting from $0.29/img for the simplest editing we do. Additionally, we do offer bulk orders discounts, depending on how big your project will be (you need to contact us and let us know about your project). We provide fast turnaround times, and we can be even faster when you ask us too. We are a team of 25+ highly trained photo editors and we work all around the clock. So wait no longer and contact us right now or upload your photos on our site and we will start working on your photos immediately after you finish your order. Do you have 250+ images? Get 20% Off Now. Get 20% discount if you have 250+ images. Join our mailing list to receive the latest news and updates from our team.